Corsair has been producing some amazing gaming peripherals for the last few years. These gaming peripherals have become favorites for thousands of gamers throughout the world. The best thing about Corsair products is that they come in all price ranges. One thing is sure – in terms of quality, you always get what you pay for with Corsair. Corsair has been making some amazing laser gaming mice in different categories. Over time, the mice were upgraded by introducing newer and better models, each with a bit of improvement. The mouse that we will be reviewing today is a completely new mouse from their new lineup. 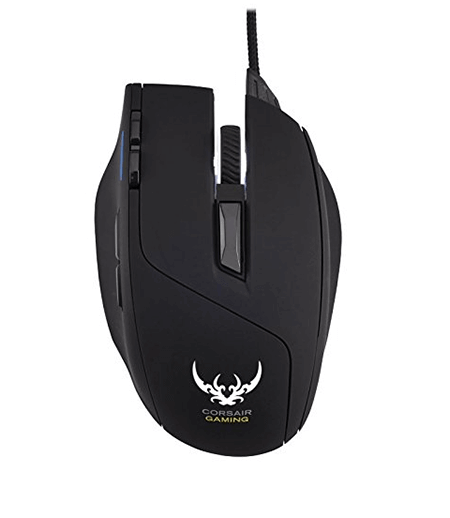 The Corsair Sabre RGB laser gaming mouse combines qualities and design from all the older models to give the users an ultimate gaming experience in a good price range. As soon as I saw this amazing mouse I fell in love for its amazing design. The first thing I noticed was the really cool look. The mouse has looks that most gamers love. Once you hold the Corsair Sabre laser gaming mouse in your hand, you will know how amazing it actually is, as you will feel the lightness of this mouse. It just weighs 3.5 ounces (100 gram), which makes it one of the lightest gaming mouse available in the market, with many cool features. The body is without doubt light, but it has all the required strength that a gaming mouse should have to bear the stress of excessive use. The mouse has highly customizable looks. You have the option of customizing the colors of three different zones on this mouse. For the selection of colors, you have a really massive template. With around 16.8 million different colors you can surely find your favorite color within no time. The mouse has some amazing Omron buttons that are made to survive a minimum of 20 million clicks. Along with that is a braided cable which means it won’t easily tangle or break, no matter how you handle the mouse. Coming to the internal processing hardware, the Corsair Sabre boasts 8,200 DPI laser sensor. This sensor is good enough to give almost any gamer the required sensitivity they want. There are eight different programmable buttons that can be easily customized for usage within the game. The mouse is quite easy to configure with the software that comes along with the CD. The Corsair Utility Engine provides all the necessary functionalities that one could need for their mouse. 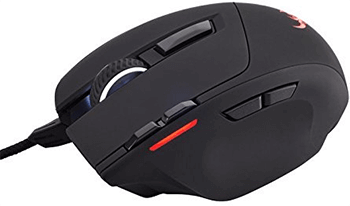 This is an amazing laser gaming mouse that lives up to the high expectations of most PC gamers and it will not disappoint.